As an outcome of the SEQ Fare Review, we announced a fare reform program to provide Fairer Fares for public transport in south east Queensland. half-price journeys after eight in a week replacing the previous 'Nine and FREE' initiative. From April 2017, job seekers receiving the Newstart Allowance or Youth Allowance and asylum seekers were eligible for 50 per cent concession fares. Queenslanders commuting from Strathpine to Brisbane for work each day will save nearly $900 a year, while Queenslanders travelling from Robina to Brisbane will save close to $1,200 annually. 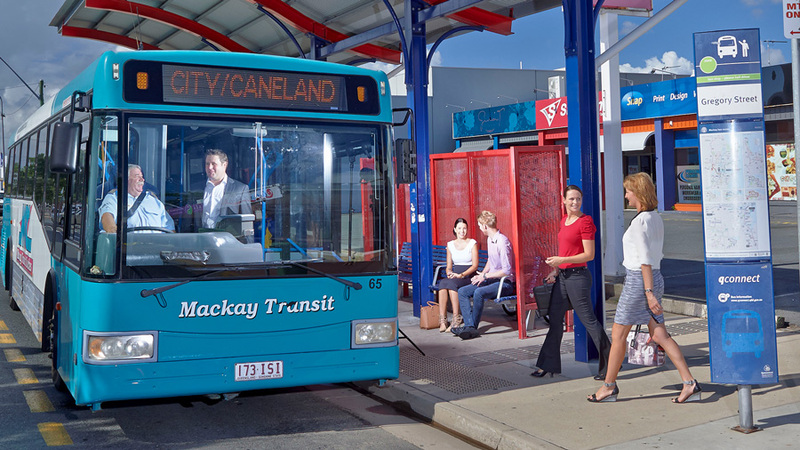 TMR completed public transport improvement projects in Mackay and Toowoomba. Both projects have delivered a significant investment in bus services, bus stop infrastructure, and public transport information for customers. The Mackay network went live in November 2016 and the Toowoomba network went live in June 2017. The final bus networks were delivered through a collaborative process. The original network plans were improved following feedback from the extensive consultation in both regions. The community provided feedback online and face-to-face to the project team. Customers will now benefit from increased frequency and span of hours of bus services, additional weekend services, and the introduction of services in new and growing areas. In addition to the bus service and infrastructure improvements, customers have also benefited from the rollout of the TransLink brand which provides access to TransLink's 24/7 Contact Centre, Journey Planner and a dedicated public transport webpage. To support the opening of the Sunshine Coast University Hospital (SCUH) in early 2017, the department successfully implemented a significant network bus service change to ensure hospital staff, patients and visitors can better access the new hospital via public transport. The service change involved the commencement of a new bus route (611) from Maroochydore directly to the SCUH, new weekend services, increased frequency and increased span of hours to align to hospital operating hours. After only six months, passenger numbers are demonstrating that these new services are extremely well patronised, and this is only expected to grow as the hospital and the surrounding areas continue to expand. To further improve public transport services on the Sunshine Coast, we also undertook a change to bus services in Nambour, which coincided with the SCUH service change. Changes featured two additional bus routes (637 and 638), extensions to existing routes, and improved bus-rail connections to Nambour station. In mid-2015 TMR began upgrading legacy Passenger Information Display (PID) systems across the busway (see glossary page 230) network and at major interchanges. The department identified an opportunity to develop a state of the art system to provide more accurate arrival and departure times for our customers. The PID system includes the introduction of real-time passenger information and has the ability to include a text-to-voice system to assist vision impaired customers. The PID system also provides notification of faults, allowing speedier maintenance and an improved customer experience. In total, over 250 PIDs have been installed throughout south east Queensland at major bus stations including King George Square, Queen Street, Roma Street, Logan Hyperdome and UQ Lakes. To support the commissioning of the Redcliffe Peninsula Line, we undertook a major redesign of the supporting bus network in Brisbane's northern region in order to create an integrated public transport network for the community. Community consultation informed the network design for the new passenger transport network. An extensive consultation campaign began in late 2015 involving community sessions, online feedback and numerous information sessions held at key locations across the region. improved weekend services in direct response to community feedback, with increased operating hours on eight routes throughout the region. In May 2017 the first stage of a major update to the MyTransLink app was released. Human-centred design was used to create a digital product customers can use for quick and easy access to public transport information. This upgrade focused on improving customer experience by providing customised access to their favourite stops and services in real-time. The MyTransLink app changes are the result of customer feedback the department received through online forms, call centre enquiries and user experience testing in south east Queensland as well as undertaking specific usability and accessibility research. 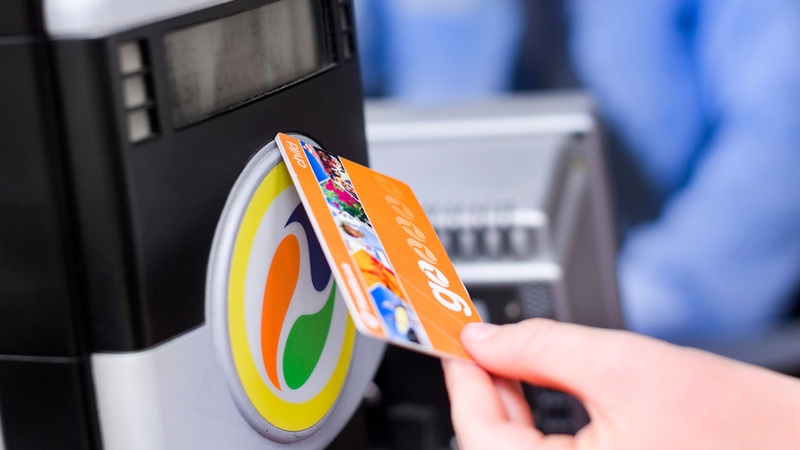 This research has led to the creation of a more intuitive tab-based navigation structure, consolidation of the 'My Stops' and 'My Services' features into one convenient 'Favourites' tab and provision of immediate access to the go card website. In July 2016, TransLink reached one billion go card trips on the south east Queensland network. To celebrate this milestone with our customers, we launched an online competition for registered go card holders to go into the draw to win one of ten prizes of $100 worth of go card travel credit. go card makes it quick and easy for our customers to travel - users can board vehicles faster and they can travel and transfer between modes more easily and cheaper than paper. go card is now used on more than 86 per cent of all public transport trips in south east Queensland. More south east Queensland seniors are saving on public transport and household expenses, with the 200,000th combined Seniors Card +go issued in May 2017. Launched in 2010 as an inter-agency initiative the Seniors Card +go program combines a Queensland Seniors Card with a Seniors' go card into a single, easy to use card for concessions, discounts and travel. Seniors Card +go assists with cost of living pressures while supporting seniors to be active and connected. It demonstrates an ongoing commitment to building an age-friendly state that places customers first, while achieving value for money. The department remains committed to delivering the Seniors Card +go program for the foreseeable future in partnership with Department of Communities, Child Safety, and Disability Services and Smart Services Queensland.